The It Girls by Karen Harper is a historical novel about sisters Lucille and Elinor Sutherland. Lucille is the eldest who adores designing clothing for women and Elinor is the younger who loves to write romance. This novel follows their family life, love life and careers. This takes place during the late 1800 to early 1900’s. There are many themes that run throughout this book from relationships to money, to what a woman’s role is. The theme I think that stood out the most is the importance of family. The cover of this novel is gorgeous with an image of what the two sisters may have looked like with an image of the Titanic at the bottom. This novel is rich in the description of the era that the two sisters lived in. The relationship dynamics are a tad head spinning as it seems both sisters love life’s were intense. If you enjoy historical fiction this novel might be just right for you. 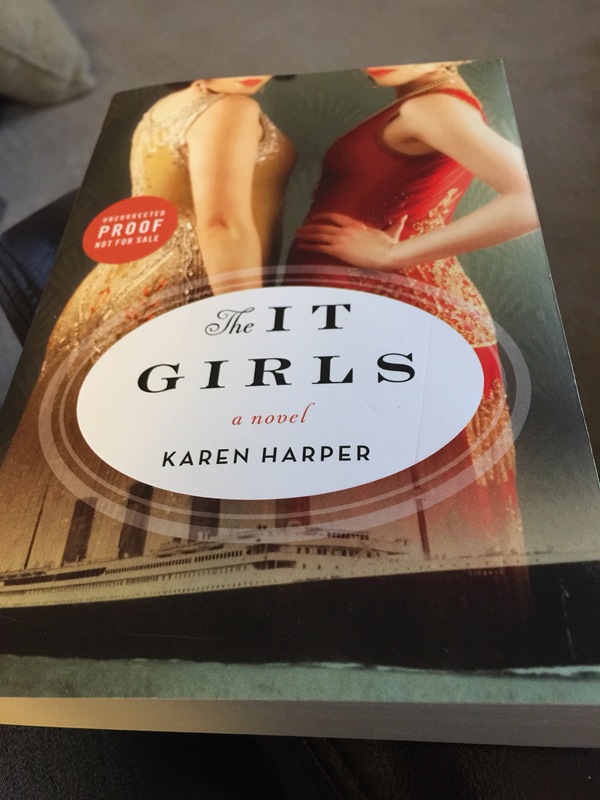 I received an ARC of The It Girls by Karen Harper for free in exchange for my honest review from TLC Book Tours. To buy a copy click here. If you are interested to find out more about Karen Harper click here. Once you finish this novel I’m sure you’ll want to find out more about Lucille and Elinor. I love reading stories set in this era – at least, in the rich part of this era! The poor part was so much worse off than these women. I loved this book. I usually go for books that are the complete opposite. Lovely review! Thanks for your lovely comment Kelly.